Food and drinks (wine/beer) are available for purchase. Includes all supplies, apron and easy step-by-step instruction! 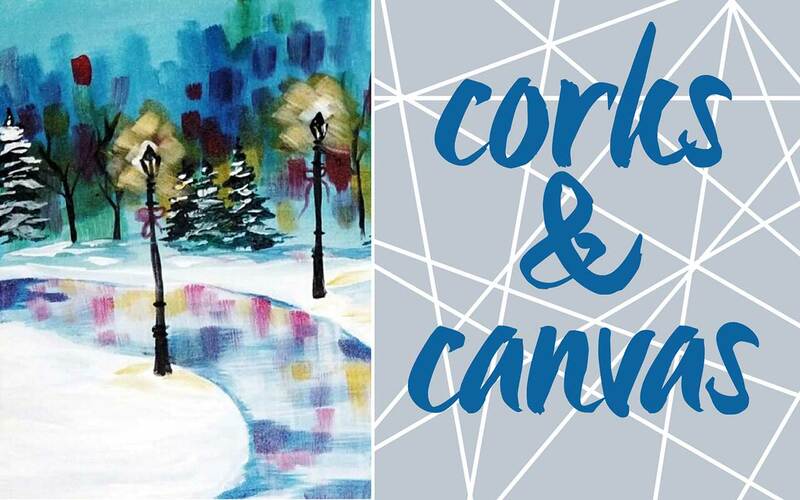 Join Corks & Canvas at the Sky Ribbon Café and paint the night away with a view of the Ice Ribbon. Food and drinks (wine/beer) are available for purchase.